Question 13: We follow the example of Paul and work very hard for the Lord spreading the gospel, bearing witness to the Lord, and shepherding the Lord’s churches, just as Paul did: “I have fought a good fight, I have finished my course, I have kept the faith.” (2Ti 4:7). Is this not following the will of God? 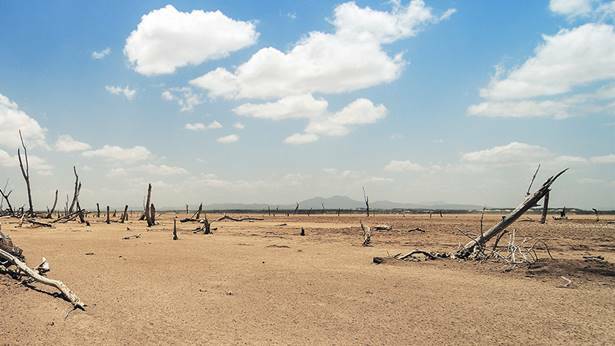 This kind of practice should mean that we are qualified to be raptured and enter into the kingdom of heaven, so why must we accept God’s work of judgment and purification in the last days before we can be brought into the kingdom of heaven? “Philip said to Him, Lord, show us the Father, and it suffices us. Jesus said to him, Have I been so long time with you, and yet have you not known Me, Philip? he that has seen Me has seen the Father; and how say you then, Show us the Father? Believe you not that I am in the Father, and the Father in Me? the words that I speak to you I speak not of Myself: but the Father that dwells in Me, He does the works. Believe Me that I am in the Father, and the Father in Me: or else believe Me for the very works’ sake” (Jhn 14:8–11). “I and My Father are one” (Jhn 10:30). The incarnate God is called Christ, and Christ is the flesh donned by the Spirit of God. This flesh is unlike any man that is of the flesh. This difference is because Christ is not of flesh and blood but is the incarnation of the Spirit. He has both a normal humanity and a complete divinity. His divinity is not possessed by any man. His normal humanity sustains all His normal activities in the flesh, while His divinity carries out the work of God Himself. Be it His humanity or divinity, both submit to the will of the heavenly Father. The substance of Christ is the Spirit, that is, the divinity. Therefore, His substance is that of God Himself; this substance will not interrupt His own work, and He could not possibly do anything that destroys His own work, nor would He ever utter any words that go against His own will. Therefore, the incarnate God would absolutely never do any work that interrupts His own management. This is what all man should understand. The essence of the work of the Holy Spirit is to save man and is for the sake of God’s own management. Similarly, the work of Christ is to save man and is for the sake of God’s will. Given that God becomes flesh, He realizes His substance within His flesh, such that His flesh is sufficient to undertake His work. Therefore, all the work of God’s Spirit is replaced by the work of Christ during the time of incarnation, and at the core of all work throughout the time of incarnation is the work of Christ. It cannot be commingled with work from any other age. And since God becomes flesh, He works in the identity of His flesh; since He comes in the flesh, He then finishes in the flesh the work that He ought to do. Be it the Spirit of God or be it Christ, both are God Himself, and He does the work that He ought to do and performs the ministry that He ought to perform. The incarnate flesh originates in the Spirit: He is the incarnation of the Spirit, that is, the Word become flesh. In other words, God Himself lives within the flesh. … For this reason, even though He is called “man,” He does not belong to the human race, and has no human attributes: This is the man in which God clothes Himself, this is the man that God approves. Within the words is embodied God’s Spirit, and the words of God are directly revealed in the flesh. This makes it all the more clear that God lives in the flesh and is a more practical God, from which it is proven that God exists, thus bringing to an end the age of humanity’s rebellion against God. The incarnate Son of man expressed God’s divinity through His humanity and conveyed the will of God to mankind. And through the expression of God’s will and disposition, He also revealed to people the God that cannot be seen or touched in the spiritual realm. What people saw was God Himself, tangible and with flesh and bones. So the incarnate Son of man made things such as God’s own identity, status, image, disposition, and what He has and is concrete and humanized. Even though the external appearance of the Son of man had some limitations regarding the image of God, His essence and what He has and is were entirely able to represent God’s own identity and status—there were merely some differences in the form of expression. No matter whether it’s the Son of man’s humanity or His divinity, we cannot deny that He represented God’s own identity and status. During this time, however, God worked through the flesh, spoke from the perspective of the flesh, and stood in front of mankind with the identity and status of the Son of man, and this gave people the opportunity to encounter and experience the true words and work of God among mankind. It also allowed people insight into His divinity and His greatness in the midst of humility, as well as to gain a preliminary understanding and a preliminary definition of the authenticity and the reality of God. Even though the work completed by the Lord Jesus, His ways of working, and the perspective from which He spoke differed from God’s real person in the spiritual realm, everything about Him truly represented God Himself that humans had never seen before—this cannot be denied! That is to say, no matter in what form God appears, no matter from which perspective He speaks, or in what image He faces mankind, God represents nothing but Himself. He cannot represent any human—He cannot represent any corrupt human. God is God Himself, and this cannot be denied. When Jesus called God in heaven by the name of Father as He prayed, this was done only from the perspective of a created man, only because the Spirit of God had put on an ordinary and normal flesh and had the exterior cover of a created being. Even if within Him was the Spirit of God, His exterior appearance was still that of an ordinary man; in other words, He had become the “Son of man” of which all men, including Jesus Himself, spoke. Given that He is called the Son of man, He is a person (whether man or woman, in any case one with the exterior shell of a human being) born into a normal family of ordinary people. Therefore, Jesus calling God in heaven by the name of Father was the same as how you at first called Him Father; He did so from the perspective of a man of creation. Do you still remember the Lord’s Prayer that Jesus taught you to memorize? “Our Father in heaven….” He asked all man to call God in heaven by the name of Father. And since He too called Him Father, He did so from the perspective of one who stands on an equal footing with you all. Since you called God in heaven by the name of Father, this shows that Jesus saw Himself to be on equal footing with you, and as a man on earth chosen by God (that is, the Son of God). If you call God “Father,” is this not because you are a created being? However great the authority of Jesus on earth, prior to the crucifixion, He was merely a Son of man, governed by the Holy Spirit (that is, God), and one of the earth’s created beings, for He had yet to complete His work. Therefore, His calling God in heaven Father was solely His humility and obedience. His addressing God (that is, the Spirit in heaven) in such a manner, however, does not prove that He is the Son of the Spirit of God in heaven. Rather, it is simply that His perspective is different, not that He is a different person. The existence of distinct persons is a fallacy! Prior to His crucifixion, Jesus was a Son of man bound by the limitations of the flesh, and He did not fully possess the authority of the Spirit. That is why He could only seek the will of God the Father from the perspective of a created being. It is as He thrice prayed in Gethsemane: “Not as I will, but as You will.” Before He was laid on the cross, He was but the King of the Jews; He was Christ, the Son of man, and not a body of glory. That is why, from the standpoint of a created being, He called God Father. There are still those who say, “Did not God expressly state that Jesus was His beloved Son?” Jesus is the beloved Son of God, in whom He is well pleased—this was certainly spoken by God Himself. That was God bearing witness to Himself, but merely from a different perspective, that of the Spirit in heaven bearing witness to His own incarnation. Jesus is His incarnation, not His Son in heaven. Do you understand? Do not the words of Jesus, “I am in the Father, and the Father in me,” indicate that They are one Spirit? And is it not because of the incarnation that They were separated between heaven and earth? In reality, They are still one; no matter what, it is simply God bearing witness to Himself. Owing to the change in ages, requirements of the work, and the differing stages of His management plan, the name by which man calls Him also differs. When He came to carry out the first stage of work, He could only be called Jehovah, shepherd of the Israelites. 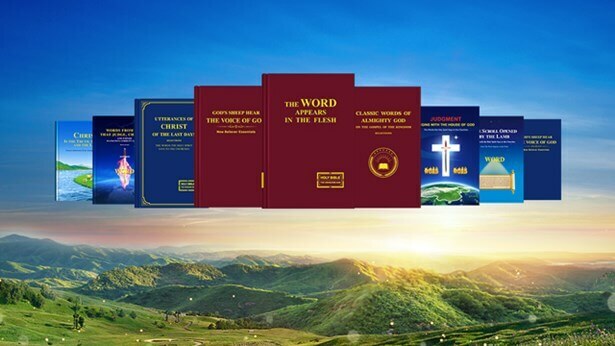 In the second stage, the incarnate God could only be called Lord, and Christ. But at that time, the Spirit in heaven stated only that He was the beloved Son of God, and made no mention of His being the only Son of God. This simply did not happen. How could God have an only child? Then would God not have become man? Because He was the incarnation, He was called the beloved Son of God, and, from this, came the relationship between Father and Son. It was simply because of the separation between heaven and earth. Jesus prayed from the perspective of the flesh. Since He had put on a flesh of such normal humanity, it is from the perspective of the flesh that He said: “My outer shell is that of a created being. Since I put on a flesh to come to this earth, I am now a long, long way from heaven.” For this reason, He could only pray to God the Father from the perspective of the flesh. This was His duty, and that which the incarnate Spirit of God should be furnished with. It cannot be said that He is not God simply because He prays to the Father from the perspective of the flesh. Though He is called the beloved Son of God, He is still God Himself, for He is but the incarnation of the Spirit, and His substance is still the Spirit. If any among you says that the Trinity indeed exists, then explain what exactly is this one God in three persons. What is the Holy Father? What is the Son? What is the Holy Spirit? Is Jehovah the Holy Father? Is Jesus the Son? Then what of the Holy Spirit? Is not the Father a Spirit? Is not the substance of the Son also a Spirit? Was not the work of Jesus the work of the Holy Spirit? Was not the work of Jehovah at the time carried out by a Spirit the same as Jesus’? How many Spirits can God have? According to your explanation, the three persons of the Father, the Son, and the Holy Spirit are one; if so, there are three Spirits, but to have three Spirits means there are three Gods. This means that there is no one true God; how can this kind of God still have the inherent substance of God? If you accept that there is only one God, then how can He have a son and be a father? Are these not all simply your notions? There is only one God, only one person in this God, and only one Spirit of God, much as it is written down in the Bible that “There is only one Holy Spirit and only one God.” Regardless of whether the Father and the Son of which you speak exist, there is only one God after all, and the substance of the Father, the Son, and the Holy Spirit you believe in is the substance of the Holy Spirit. In other words, God is a Spirit, but He is able to become flesh and live among men, as well as to be above all things. His Spirit is all-inclusive and omnipresent. He can simultaneously be in the flesh and throughout the universe. Since all people say that God is the only one true God, then there is a single God, divisible at will by none! God is only one Spirit, and only one person; and that is the Spirit of God. If it is as you say, the Father, the Son, and the Holy Spirit, then are They not three Gods? The Holy Spirit is one matter, the Son another, and the Father yet another. They are distinct persons of different substances, so how then can They each be part of a single God? The Holy Spirit is a Spirit; this is easy for man to understand. If so, then the Father is even more so a Spirit. He has never descended onto earth and has never become flesh; He is Jehovah God in the heart of man, and He is certainly a Spirit as well. Then what is the relationship between Him and the Holy Spirit? Is it the relationship between Father and Son? Or is it the relationship between the Holy Spirit and the Spirit of the Father? Is the substance of each Spirit the same? Or is the Holy Spirit an instrument of the Father? How can this be explained? And then what is the relationship between the Son and the Holy Spirit? Is it a relationship between two Spirits or the relationship between a man and a Spirit? These are all matters that can have no explanation! If They are all one Spirit, then there can be no talk of three persons, for They are possessed of a single Spirit. If They were distinct persons, then Their Spirits would vary in strength, and simply They could not be one single Spirit. This concept of the Father, the Son, and the Holy Spirit is most absurd! This segments God and splits Him into three persons, each with a status and Spirit; how then can He still be one Spirit and one God? Tell Me, were the heavens and earth, and all things within it created by the Father, the Son, or the Holy Spirit? Some say that They created it all together. Then who redeemed mankind? Was it the Holy Spirit, the Son, or the Father? Some say it was the Son who redeemed mankind. Then who is the Son in substance? Is He not the incarnation of the Spirit of God? The incarnation calls God in heaven by the name of Father from the perspective of a created man. Are you not aware that Jesus was born from the conception through the Holy Spirit? Within Him is the Holy Spirit; whatever you say, He is still one with God in heaven, for He is the incarnation of the Spirit of God. This idea of the Son simply is untrue. It is one Spirit who carries out all of the work; only God Himself, that is, the Spirit of God carries out His work. Who is the Spirit of God? Is it not the Holy Spirit? Is it not the Holy Spirit who works in Jesus? If the work had not been carried out by the Holy Spirit (that is, the Spirit of God), then could His work represent God Himself? What man first saw was the Holy Spirit descending like a dove upon Jesus; it was not the Spirit exclusive to Jesus, but rather the Holy Spirit. Then can the Spirit of Jesus be separated from the Holy Spirit? If Jesus is Jesus, the Son, and the Holy Spirit is the Holy Spirit, then how could They be one? The work could not be carried out if so. The Spirit within Jesus, the Spirit in heaven, and the Spirit of Jehovah are all one. It can be called the Holy Spirit, the Spirit of God, the sevenfold intensified Spirit, and the all-inclusive Spirit. The Spirit of God can carry out much work. He is able to create the world and destroy it by flooding the earth; He can redeem all mankind, and moreover, conquer and destroy all mankind. This work is all carried out by God Himself and cannot have been done by any other of the persons of God in His stead. His Spirit can be called by the name of Jehovah and Jesus, as well as the Almighty. He is the Lord, and Christ. He can also become the Son of man. He is in the heavens and also on the earth; He is on high above the universes and among the multitude. He is the only Master of the heavens and earth! From the time of creation until now, this work has been carried out by the Spirit of God Himself. Be it the work in the heavens or in the flesh, all is carried out by His own Spirit. All creatures, whether in heaven or on earth, are in the palm of His almighty hand; all of this is the work of God Himself and can be done by no other in His stead. In the heavens, He is the Spirit but also God Himself; among men, He is flesh but remains God Himself. Though He may be called by hundreds of thousands of names, He is still Himself, and all the work[a] is the direct expression of His Spirit. The redemption of all mankind through His crucifixion was the direct work of His Spirit, and so too is the proclamation unto all nations and all lands during the last days. At all times, God can only be called the almighty and one true God, the all-inclusive God Himself. The distinct persons do not exist, much less this idea of the Father, the Son, and the Holy Spirit. There is only one God in heaven and on earth! Previous：How can one know Christ’s divine essence? Next：What is the nature of the problem of man not acknowledging the truths expressed by Christ? What are the consequences of man not treating Christ as God? On what basis does God determine a person’s final outcome? God has never used units of time to establish a person’s outcome, and He has never used the amount of suffering endured by someone to establish their outcome. Then what does God use as a standard for establishing man’s outcome? ... God uses trials to establish the outcome of man. There are two standards for using trials to establish man’s outcome: The first is the number of trials that people undergo, and the second is the people’s result in these trials. It is these two indicators that establish man’s outcome. How exactly should one discern the voice of God? 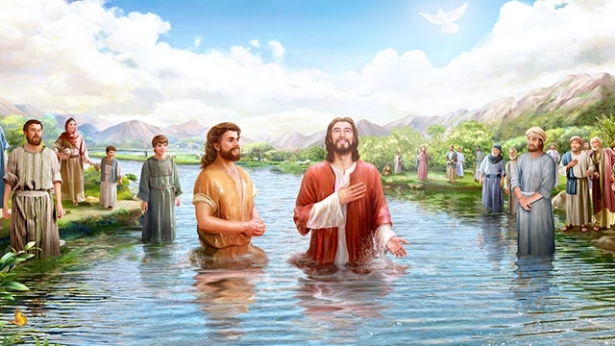 How can one confirm that Almighty God is indeed the Lord Jesus returned? “My sheep hear my voice, and I know them, and they follow me” (Jhn 10:27). ...His words carry life power, and show us the way we should walk, and allow us to understand what the truth is. ...This ordinary, insignificant person, who lives among us and has long been rejected by us—is He not the Lord Jesus, who is ever in our thoughts, and whom we long for night and day? It is He! It’s really Him! He is our God! He is the truth, the way, and the life! What is a false Christ? How can a false Christ be discerned?